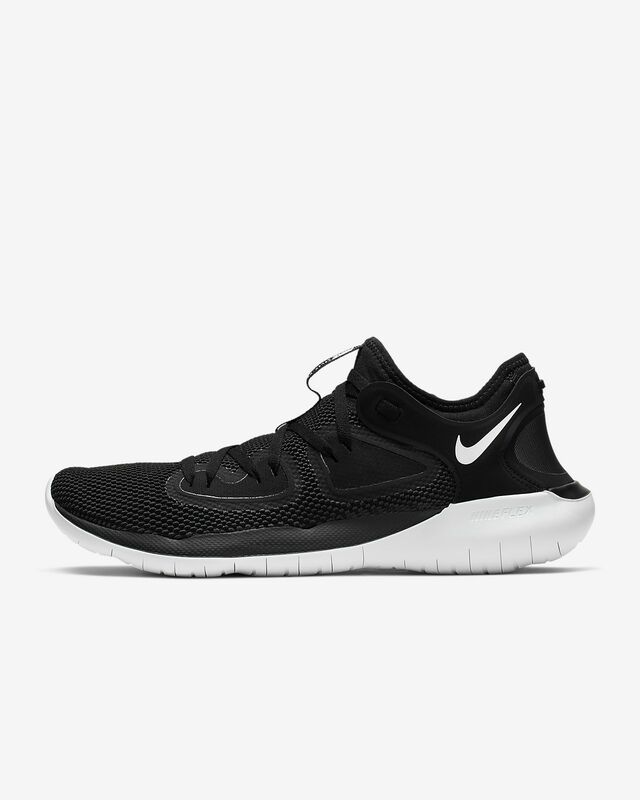 The stretchable knit upper of the Nike Flex RN 2019 wraps you in softness as it expands and contracts with your foot. Dual-density foam layers supply durable cushioned comfort, while grooves on the outsole give you heel-to-toe flexibility. Multi-directional stretch knit expands and contracts with your foot. Dual-density foam cushions every step. Flex grooves on the outsole move and bend for heel-to-toe flexibility. Synthetic overlays around the laces provide structure for a secure fit. Heel strap stabilises the back of your foot while allowing natural movement. Heel and tongue loops stretch the opening so your foot easily slides in. Have your say. Be the first to review the Nike Flex RN 2019.